We use some of the industry leading technologies to help assist our understanding of swing changes and overall improvements in movement patterns. This game changing technology allows us to monitor your game in any environment. It is the only launch monitor that accurately measures a players performance with a high resolution. 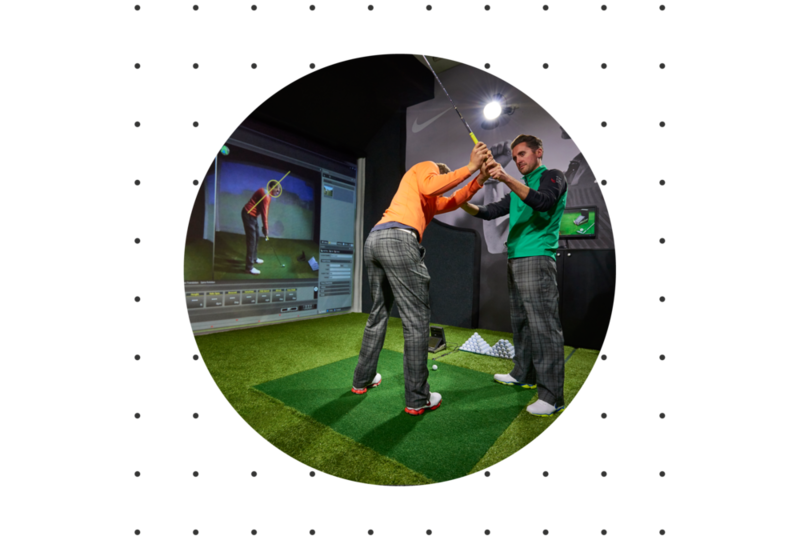 We can closely measure all aspects at impact that helps shape our tailor-made custom fitting. This system is fully integrated within our THSG Performance Lab, allowing us to analyse your golf swing both from multiple angles and in slow motion. The results will be accessible on your GASP ebook or smart phone, offering you the opportunity to build lasting changes out on the course. The all-in-one wireless system instantaneously measures your power signatures, 3D data and characteristics. From this it generates insightful reports that automatically feed into your own personal coaching builder – providing you with an extensive library of pre-built training programs and drills. This technology offers scientifically precise feedback on the 28 most important parameters of your putting stroke by using ultrasound sensory analysis. It can reveal even the smallest details of your movements and allows you to discover your individual strengths and weaknesses for more efficient training. This digital coaching tool allows us to communicate with our pupils instantly and gain valuable feedback instantaneously. We believe this is one of the strongest digital learning tools we have come across and recommend every pupil uses this.